A Few Things to be Excited About! Highlights from the beautiful Vatican City, Italy, including Michaelangelo’s Pièta, the Swiss guard and the simply gorgeous artwork in St Peter’s Basilica, all of which is mosaic. I have just returned from my holiday – a rather swanky trip around Europe on the biggest cruiseship in the world, Harmony of the Seas, with my lovely boyfriend Mark and my cruise-addicted parents. We set sail from Barcelona, stopping in Parma, Marseilles, La Spezia, Rome and Naples. It was bloody hot and extremely expensive, however there was much history to observe and lots of antiquity and culture to immerse ourselves in. My day on the Imperial Rome tour with Mark was without a doubt the best day, visiting such major sites as St Peter’s Basilica in Vatican City, the Trevi Fountain, the Colosseum and the Roman Forum. Alas however, the holiday is now over (which is probably for the best because Mark and I were spending a fortune…) and I am now back at home with my wee beasties Petra and Edgar, whom my writing partner, K.F. Goodacre has been looking after in my absence. I have to admit, it is very nice to be home! It’s just such a shame that my holiday can’t go on a little longer. 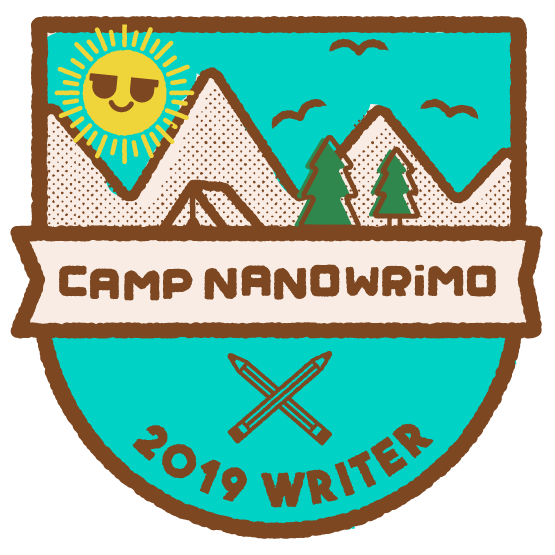 This also now means that I can crack back on with my Camp NaNoWriMo project, which I have extended by a week to make up for the time I lost whilst on holiday. Wish me luck! K.F. Goodacre promised to write me a torture scene if I meet my word goal. In addition to looking after my cats and house, K.F. Goodacre also went to the Young Adult Lit Con (YALC) on Saturday and waited in line to meet Derek Landy for 50 minutes just to get my first-edition hardback of Skulduggery Pleasant and a flyer for #SPX signed by the man himself! Isn’t she wonderful? Thank you so much, Kimothy! Finally, more exciting news, Epica’s new track ‘Universal Death Squad’ dropped on Friday and pre-orders have been opened for their upcoming album The Holographic Principle, due to be released 30 September later this year! And now, if you don’t mind, it’s been a very long day, I’ve been up since 4:30am GMT time, and I am absolutely knackered. Time for me to get some sleep so that I awake fresh and eager for a new working week tomorrow. Illustrations by Brettarts. Copyright © S.E. Berrow 2015-2018. All rights reserved.